Make Your New Home Feel Like Yours in No Time Fast - MoveStar Inc.
Moving into a previously owned home can be a bit jarring. You are now moving into a structure that absorbed the character of the previous owners. Depending on whom you purchased the home from, you will have a great deal of work to do before the home will feel like yours. Be careful! Many new home owners begin to list all the things they would like to alter in their newly acquired home. Not only is this expensive, it is mentally exhausting. Rather than take on the entire home, you need to prioritize. Here are some simple and relatively inexpensive things to do to make that home feel like yours in no time. First and foremost, give the house a good top to bottom scrubbing. The previous homeowners may have been lovely people, but chances are good that the home was neglected a bit in the cleanliness department. Fixtures, floors, refrigerator, lint screens of dryers, stairs, and carpets should all get your tender loving care. Tiles in the kitchen may need some extra attention, particularly the grout. Use a simple cleaner and add some non-chlorinated bleach alternative to warm water. Let it soak on your grout and then scrub with a brush. Wipe, dry, and repeat until that tile looks like new! Windows will need to be wiped down, carpets may have to be steamed, and floors will need to be mopped. It will take much energy and sweat, but the result will be a sparkling clean home – a clean palette on which you can then build upon. Now that your home is clean, it is time to think about color. 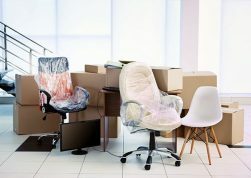 If you are moving furniture from your previous home into your new one, you already have something to work from. Take a good look around your home. Now is the time to add a fresh coat of paint to truly claim the space. Nothing can freshen up a home like a new coat of paint. Choosing colors does not need to be too difficult either. Stay with your tastes and go with complimentary colors. Don’t be afraid of bold color either. A splash of color here and there will go a long way to add excitement and character to your home. Interested in adding a bit of warm energy in your kitchen? Try using a splash of vibrant red on an accent wall. Would you like your bathroom to send cool waves of serenity? Try a tranquil shade of aqua blue. Regardless of your choices, once the home has been painted, you will feel more connected to it. Of course, you will have to decide whether to do it yourself or hire painters. This boils down to comfort and cost and every new homeowner needs to decide which way to proceed. But it is certain that painting your home can be one of the fastest ways to claim your new living space. Now that your home is clean and painted, it is time to add some accents. Adding a few air filtering plants is a wonderful way to add some nature and fresh air to your home. A throw pillow here and there can add some spice to your living room. A well placed and color coordinated vase can add interest to an empty space. Personal photos on the mantle add a great touch of family and friends to your home. These touches can be small, inexpensive, and easy but speak volumes about your personality and all those who live in your home. This part can be done relatively quickly. And the beauty of adding these touches is that you can change them over time. By cleaning, painting, and accessorizing your newly purchased home, you will quickly claim your space, feel at home, and begin to enjoy living in your new abode. Whether you moved down the block or across the country, these quick and easy steps will glide you into your home for as many years as you desire. Contact Movestar for help in settling into your new home. 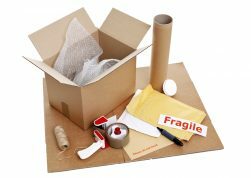 In addition to local moves, we offer professional cleaning services, boxes and moving supplies, and refinishing and restoring services.